This sign is on an electric box outside a restaurant we went to recently. 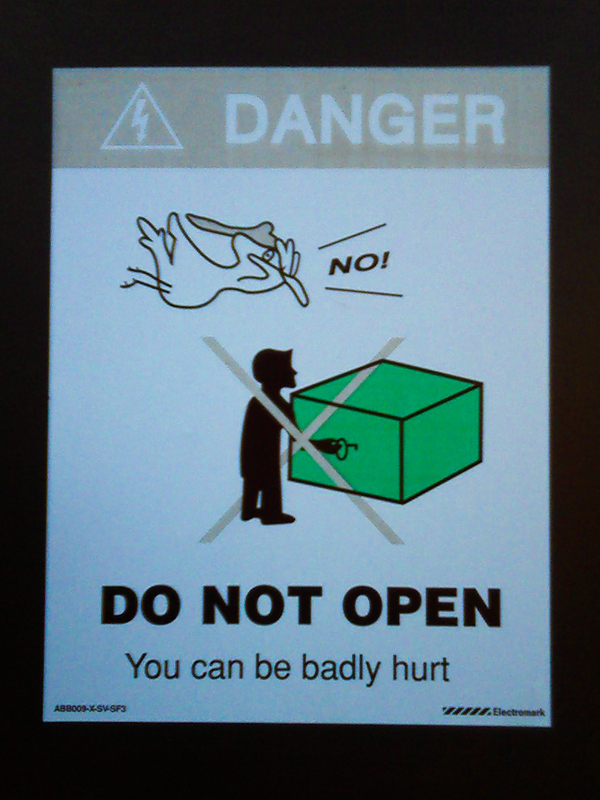 Is this a new universal sign for danger – a cartoon bird in a backwards baseball cap shouting “NO!”? It does seem a bit whimsical, doesn’t it? And what kind of a dope do you have to be to do something even a bird in a baseball cap would know better than? Click here to go to my new blog.